Today’s guest owns a pinball restoration company along with a board game company. She has successfully launched and funded 3 Kickstarters. And now let’s meet Diane and learn about her journey as a game designer. Company – Shoot Again Games which you can also find on Facebook and Twitter. 1. What is your favorite game to play now that isn’t your own? Currently, I would say it is Nat Levan’s New Bedford. It has lots of elements I enjoy such as worker placement. But what I think it does great is engaging player’s while really integrating the theme. I also like the many roads to victory it gives the players. I’ve won games with very, very little whaling at all. 2. Is there a game or type of game that made you interested in making your own? Before I bought my first one all I knew were family games and ones focused on kids and young adults.I assumed that was it and the most advanced game I knew of was Risk. That changed the day I went into a hobby store and saw all of these microgames that were big at the time. It blew me away. The first game of that type I bought was a game called Sticks and Stones by Metagaming. That was around 1979 which certainly dates me. 3. Which of your games has been your biggest success so far? Conspiracy! has been the biggest so far. The reason I feel it has done so well, besides the game play, is the theme. When I tell people “all the players are conspiracy theorists trying to prove their theories such as Reptilian Overlords, Chemtrails and Role-playing is Devil Worship”, they become interested. I also think the discrediting mechanism I came up with makes the game exciting to play. 4. What do you know now that you wish you had known about game design before you started? I think the hardest thing for me is to be open to all feedback. Not all of it is good to be sure, but at least seriously consider it. 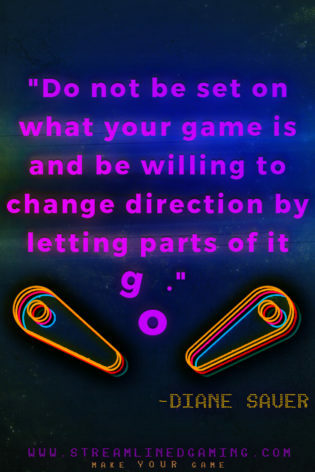 Also, do not be set on what your game is and be willing to change direction by letting parts of it go. For example, Conspiracy! was originally based on strange artifacts being the central part of the game, but ultimately to make the game better I had to remove them, which was not an easy decision to come to. 5. How hard is it for you to find playtesters for your prototypes? I am lucky in that my game group, which has been meeting weekly since 1982, is willing to play them and more important, they have a wealth of knowledge making their feedback very valuable. Secondly I go to a lot of UnPub events and from them have met many other great designers who I’ve become friends with. I do think now with a couple of games under my belt it has gotten easier. 6. Which area of game design do you wish there was more information about? 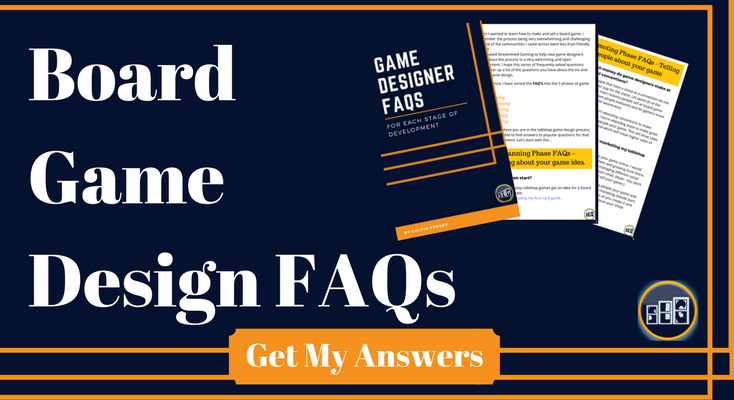 There is a lot of great information out there when it comes to game design. The thing I would say that is hardest is getting the game in front of players outside your area, into distribution and into stores. You can have made the greatest game ever, but if you can’t get it into people’s hands, you are going to ultimately be very unhappy. 7. What are several things you have learned from Kickstarting your games? I just launched my fourth Kickstarter (January, 10 2017) and I’m happy to say each has gotten better than the last because I did actually learn from my mistakes. The first is that you need good graphic design and art for your game if you plan on getting any real traction on Kickstarter. Basically, you need a polished product as the days of virtually all games being funded are long over. Second is that you should have a pool of backers you know will be there in force on day one. Day one is everything and a bad first day will almost certainly cause you to struggle and most likely fail. Third, make certain you have a good grasp on your shipping costs. A small mistake with shipping costs can kill you and cost you any possible profits you hope to make. This is also true with stretch goals. Speaking of which, not accounting for the additional weight of the stretch goals can bump you up to a higher shipping rate which is a costly mistake. 8. How many copies of each of your games have you printed? Our first game Legends and Lies was a Print-on-Demand game and we ended up making around 500 copies of it in two print runs. This by the way was a great way to get into Kickstarter with a minimum amount of risk. It allowed me to make all my big mistakes without breaking the bank. 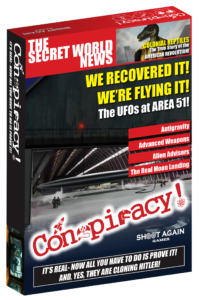 Looting Atlantis we printed 1000 copies of and Conspiracy! we moved up to 2000 copies. 9. Were you happy with the number of copies you have had printed? Yes. We base the print runs in part on the success of the Kickstarter and on how well each game has been received at conventions . Another factor I consider is the retail cost of the game. It is much easier to get people to take a chance on a $20 game than say a $40 one. 10. Which manufacturers have you used to print your games? As mentioned Legends and Lies, along with it’s expansions, we did print on demand and we used Gamecrafter. I was very happy with the quality of the games and of course had absolute control which was nice. The down side is the cost per unit but if you are doing a small print run and not expecting to get into distribution, they are great. Both Looting Atlantis and Conspiracy! were printed through Admagic. I loved the staff I got to work with them and felt they were very responsive and quality oriented. Both games came out great and it was a real advantage that they are here in New Jersey. 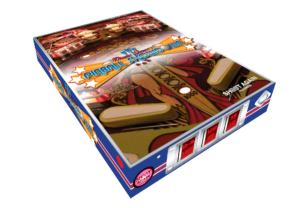 Our next game, Pinball Showdown is going to be printed by Whatz Games which I can’t say much about yet other than the price they gave us was great. And having one of my friends already use them for his game gives me reassurance things will go very well. It was fun learning from your experiences of successfully kickstarting so many games. I would also like to thank you for the list of game manufacturers you have used over the years. This is an area that I and many other new game designers are unsure about so that is good information for us to have. Also, if anyone has any future interview requests then please leave them in the comments below.